Robert Craig: Could the Government Advise the Queen to Refuse Royal Assent to a Backbench Bill? As is well known, the Government’s Withdrawal Agreement was voted down in Parliament last week by 230 votes in a ‘meaningful vote’ mandated under s 13(1) of European Withdrawal Act 2018 (‘EUWA’). This led to the Opposition tabling a formal vote of no confidence in the Government under the Fixed-term Parliament Act 2011 (‘FTPA’). This is the first formal no confidence motion tabled for a quarter of a century. The motion was defeated by 325 votes to 306 votes. The survival of the Government despite the rejection of the central plank of its programme has led one leading commentator to describe the Government as ‘in office without being in power’. For some MPs, notably the ERG group of backbench Conservative MPs, the rejection of the Withdrawal Agreement is unproblematic. This is because, as a matter of law, Parliament gave its approval to Brexit when it passed the European Union (Notification of Withdrawal) Act 2017 and confirmed that approval when it legislated in the EUWA for the United Kingdom to leave the European Union on 29 March 2019. From a strictly legal perspective, Brexit will happen on that date by automatic operation of law unless the law is changed and extension is agreed with the EU27. This would happen with or without a deal. It is clear that, from a purely political perspective, there is no majority in Parliament for an automatic exit from the EU without a deal. The Prime Minister has stated repeatedly that there are only three options in her view: 1) Approval of the Withdrawal Agreement 2) No Deal 3) No Brexit. Part of her pitch to MPs before the ‘meaningful vote’ was that if it was voted down, Brexit could be stopped by MPs opposed to leaving the EU. As an aside, nothing in this post should be read as an endorsement by the author of any of the three options, or any other options. There is considerable evidence that a plan either to delay or to suspend the Brexit process by changing the law is indeed being formed. On the Andrew Marr programme, Hilary Benn claimed that far from being ‘plotters’, MPs who were taking steps to prevent a No Deal exit were simply ‘doing their job’. Some MPs have taken advice from clerks of the House on a bill that would prevent a No Deal exit. A number of potential draft bills have been published, for example the European Union (Withdrawal) (No. 2) Bill, from Nick Boles MP, which would mandate the Government to seek an extension of the Article 50 process to 31 December 2019. Yvette Cooper MP has proposed another. Under normal circumstances, any such bill would have no chance of passing into law because the Government controls the business of the House of Commons and could prevent any such bill from being passed. However, backbench MPs have the power to change the rules laying down the procedures of the House of Commons, which are governed by a series of Standing Orders, if they can secure enough votes from MPs to make those changes. The rule that government business must be given priority was instituted in the House of Commons over a century ago following a previous example of serious political disagreement in parliament in the 1880s. Standing Order 14(1) is unequivocal. Save as provided in this order, government business shall have precedence at every sitting. This rule reflects an important and basic constitutional principle which is that parliament must have its say but the government must get its way. It is the government that runs the country, not parliament. We have a system of parliamentary government, not a system of parliamentary rule. Conversely, the government is severely constrained by the fact that it must always retain the confidence of parliament. This dynamic relationship is at the heart of the political constitution of the UK. The dynamism is reflected in the fact there can be changes, even significant changes, in the extent to which the House of Commons exerts itself over the executive. Motion in connection with the United Kingdom’s withdrawal from the European Union in the name of at least 300 Members of the House elected to the House as members of at least five parties and including at least 10 Members elected to the House as members of the party in Government shall stand as the first item of business. Further, the amendment requires that any such Motion shall be proceeded with until it concludes notwithstanding any other Standing Orders. If the amendment passes, then a door potentially opens to a backbench bill that might be piloted through the House of Commons as long as it is ‘in connection with the United Kingdom’s withdrawal from the European Union’. Stephen Laws has argued that further procedural changes of other Standing Orders would be necessary, however, to get it through. If such legislation is eventually passed by Parliament, it could result in significant changes such as mandating the Government to seek an extension from the EU27, legislating for a second referendum or mandating the Government to revoke the Article 50 notification which the CJEU recently held was possible in EU law without agreement of the EU27 in the case of Wightman. One useful side effect of these discussions on changing the law is that it now appears to be generally agreed that it is not possible to revoke the Article 50 notification without fresh legislation as I argued a year ago on this blog, and as was also argued more recently by others. I also argued recently on this blog that seeking an extension could be done using the royal prerogative. If a statute mandated the government to seek an extension, that would obviously put the relevant prerogative into abeyance to that extent. Whilst much attention is naturally being focused on the machinations that could lead to a backbench bill being passed through the House of Commons, much less attention is being paid to the other two stages through which a Bill must pass to become law. The second stage is that it must be approved by the House of Lords. The chances of the House of Lords delaying or blocking such a bill seem low. The third stage of legislation is normally a formality. It is that the Crown must agree to the legislation through the prerogative of Royal Assent. After all, the sovereign body in the United Kingdom is not Parliament, it is the Crown-in-Parliament. As every first year law student knows, the last time Royal Assent was refused was in 1708 under Queen Anne when the Scottish Militia Bill was rejected on the advice of ministers, according to Munro (54). In 1914, George V very nearly withheld his assent to the Irish Home Rule Bill but was persuaded not to, again on ministerial advice. The general rule is that prerogatives are exercised by the monarch on the advice of the government, and in particular the Prime Minister. At first sight, therefore, it might appear that all of the work done by backbench MPs might be to no avail because even if they manage to pilot a bill through the House of Commons and the House of Lords, the Government could simply advise the Queen to refuse Royal Assent to the bill. Anne Twomey states that in relation to royal assent ‘the predominant academic view… is that the Sovereign… must act upon the advice of responsible ministers’ (The Veiled Sceptre 622-3). She uses the example of where a new government that has the confidence of the House and ‘objects to a bill passed… by a defeated predecessor… then its advice to refuse assent to a bill should be accepted’ (624). Elsewhere she argues that where a ‘serious error is discovered in the bill’ then refusal of assent may properly be advised (643). Twomey is therefore crystal clear that the ministerial power to give advice on royal assent has not fallen into desuetude (30-35). Royal assent is not an exception to the general rule that prerogatives are exercised on advice. Munro agrees, arguing that the more accurate ‘formulation’ may be: ‘the Crown cannot refuse assent except on advice’ (82). Twomey gives examples of the fact that the ‘Sovereign has… frequently and recently refused assent to bills passed by the legislatures of British colonies’. Even the British Government has advised refusal – and recently. It prepared to advise the Sovereign to refuse royal assent for a bill from New South Wales in 1980 which forced the NSW Government to let it lapse to prevent a formal refusal (638). Royal assent is not automatic. Adam Tomkins is unequivocal on the central point. Rodney Brazier argues that the ‘only circumstances in which the withholding of royal assent might be justifiable would be where the Government itself were to advise such a course’ (de Smith & Brazier Constitutional and Administrative Law 127). Brazier’s says elsewhere (LQR 2013) that ministers might advise the Queen to refuse assent where ‘a private member’s bill had passed both Houses, perhaps on a free vote but which ministers opposed’. Twomey suggests that this scenario is ‘more likely to arise in a hung Parliament’ (624). Twomey makes clear that, in her view, the confidence of parliament is key, arguing that ‘ministers must maintain their status as responsible to Parliament in order to be entitled to give that advice’ (625). This must be right. The doctrine of confidence is one of the absolutely core doctrines of the UK political constitution. Much of the academic analysis of this issue is tinged with some unreality, as Brazier points out, because it is so difficult to envisage a situation where a bill could pass through two Houses without government approval. Truly, Brexit is the constitutional gift that keeps on giving. On the other hand, Twomey raises questions of the distinction between representative government and responsible government. The legitimacy of MPs is a function of the former (through representative elections). The legitimacy of ministers is a function of the latter (through ministerial responsibility to parliament). Normally there is no tension between the two but when there is a clash, she points out that ‘in the case of a hung Parliament, if a bill of significant importance were passed against the wishes of the government, doubts would arise about the responsibility of ministers and whether they were entitled to advise the refusal of consent’ (624). Nick Barber, writing presciently on this blog in 2013, suggests that in an era of regular minority governments and the FTPA, refusal of royal assent could one day be a live issue. Barber connects royal assent to the representative government narrative. But does this reason justify the inclusion of royal assent within the group of prerogative powers that are exercised on ministerial advice? It is hard to see that it does. Now the convention is operating against democratic values, rather than upholding them… In short, when presented with a bill that has passed through Parliament in a proper manner, the duty of the Monarch is to give assent – irrespective of the advice of her Ministers. There is no room for discretion. Twomey herself suggests that the Queen could disregard the government’s advice on a bill it disagreed with because ‘the government is no longer responsible, due to its defeat on what must be regarded as an important legislative measure… and the head of state is not obliged to accept the advice of ministers who have ceased to be responsible’ (646). Mark Elliott agrees. Twomey also says the likelihood of this kind of scenario arising is ‘slim’ because those who passed the bill ‘could vote no-confidence’ in such a government. Such a scenario would be unlikely ‘unless it was clear that no alternative government could be formed and a dissolution was undesirable’ (647). It is difficult to see how these kinds of criticisms could apply to the current government which has just had its mandate from parliament confirmed when it won the recent no confidence motion. It is astonishing to be living at a time when the Government could conceivably advise the Queen to exercise a prerogative that has not been used for 300 years. Furthermore, it could only happen if the House of Commons voted to suspend rules of procedure that have been in place for nigh on 150 years. We live in interesting times. It is worth pointing out, however, that even in the UK the issue of executive veto is not confined to ancient law. It will be recalled that the assent of the Crown is built into the UK devolution regimes. The UK parliament has long been a predominantly policy-influencing legislature. The USA system, by contrast, has a predominantly policy-making legislature coupled with an executive veto. This is a further reason why the moves by backbench MPs to propose and pass bills should perhaps cause us to raise a constitutional eyebrow. The UK legislature appear currently to be edging closer to setting policy rather than influencing policy and is thereby in danger of testing the limits of long-standing and accepted constitutional norms. This may precipitate ripple effects analogous to the executive veto in the USA. There has been far too much talk of a ‘constitutional crisis’ in the Brexit debate so far but as the exit deadline looms, it may be that a genuine crisis may yet occur. The Queen must not be drawn into the political realm by being forced to decide whether to accept ministerial advice to refuse royal assent to a bill. As Twomey points out, ‘reserve powers’ usually operate in the background and ‘operate as an incentive to appropriate behaviour by politicians’ (32). She quotes MacKinnon as describing them as ‘like a fire extinguisher – often never used but there in an emergency’ (33). It is to be hoped that these incentives prevent the Queen being put into a potentially awkward constitutional position. This approach must be the starting point for the relevant political actors. Although Twomey makes clear that the majority of academic opinion believes that royal assent can be refused on ministerial advice, there is not a consensus on what should happen when these kinds of exceptional circumstances occur. A clash between representative and responsible government raises deep questions of constitutional theory. Are ministers temporary and junior delegates of a supreme parliament or is parliament’s role simply to clothe ministerial policies in legitimating legal garments? The questions connect to the contested status of royal assent and whether it is a legislative power that is triggered by successful passage of a bill through the two Houses or an executive power effectively in the hands of the government. Where the Queen’s duty lies in these circumstances is contested. The better view is probably that she must follow the ministerial advice. The Queen could not legitimately be criticised for following the advice of a Government that has the confidence of Parliament. All criticism ought to be directed at her Government which is democratically accountable to Parliament and whose constitutional role is to absorb such criticism instead of the monarch. The Queen could, however, be criticised for not following such ministerial advice. Whom could disappointed elected MPs hold to account if the Queen failed to follow formal ministerial advice in the exercise of a royal prerogative? Bearing the brunt of criticism that would otherwise be directed at the monarch is possibly the most ancient function of ministers. Removing that possibility would breach norms that have stood for centuries and would be a genuine failure of democracy and accountability. It is suggested that elected politicians must strive to avoid the scenario contemplated in this post from happening in the first place and it is to be hoped that a negotiated solution can be found in the House of Commons to ensure that even the possibility of a genuine constitutional crisis is avoided. The author would like to thank Paul Craig, Stephen Laws, Carl Gardner, Colm O’Cinneide and Alison Young for their helpful comments on a previous draft. The usual disclaimer applies. If changes to law require the Consent of the Queen in Parliament then Royal Assent should follow pending completion of the political process. This is completely bonkers territory! The flaw in this argument is treating the FTPA vote last week as a vote about confidence in the full sense of establishing the existence of a responsible government. It was really a vote about whether the Commons wanted a general election. Confidence in the full sense is a different matter. And so, the question is this. Does a government that has put itself in a position in which the Commons passes a bill it opposes important enough that the government starts to think about bringing the monarch into politics still possess the confidence of the Commons? The answer is obvious. It does not. And so what should then happen? That is also obvious It should then either resign or put an early election motion to the Commons. If it does the latter and the motion fails, it should simply resign and allow the formation of a government that does command the confidence of the House – presumably one based on the majority that passed the bill. The flaw in Stephen’s argument is similar. He says that in a clash of this type between the Commons and ministers, it is important to bring the system back into harmony. That is right. But he thinks that doing this requires the Commons to give way. That is the wrong way round. It is ministers who must give way, and if they can’t bring themselves to do so, they must resign. A balanced article. As someone who comments from a political perspective, I am pleased to see that there are legitimate means to protect the constitutional process. In my view, the challenge to the constitution (and the democratic system) of the UK lies in the (possible) ability of a few hundred MPs to give more weight to their personal views and/or party interests than to the margin of over one and a quarter million or nearly 4% of the voting (in this instance) electorate. Sauce for the goose is sauce for the gander. If those MPs are prepared to use extraordinary means to subvert the democratic process, it is entirely legitimate for the government to respond in kind. The one element that might perhaps be added is this. The government does have the option of seeking a confidence vote on the basis that it will advise the sovereign to refuse assent to a backbench bill to revoke notification of intention to withdraw, or to seek an extension to the negotiation timescale. If the confidence motion fails and confidence cannot be restored, the outcome is a general election. This is potentially a means of defusing the “crisis”. Professor Howarth’s and Mr Fearon’s posts both obliquely raise the issue of non-statutory votes of [no] confidence in the government. Mr Howarth argues that a government that cannot stop a bill to which it is opposed passing the House is under a duty to put an early election motion (which requires a two thirds majority) to the Commons or resign because it has lost the confidence of the House in the fullest sense. That begs the question of what happens if it chooses to do neither?. Mr Fearon refers to the government seeking a vote of confidence. The FTPA contains no provision for a vote of confidence in a sitting government. Therefore, any such vote must necessarily be non-statutory. The opposition has the option, by their choice of text for an amendment to the motion, to convert the vote into a statutory or non-statutory vote of no confidence or they may simply attempt to vote down the unamended non-statutory vote of confidence. A non-statutory vote of no confidence or the defeat of a non-statutory vote of confidence, neither of which can directly result in a general election, probably stand a greater chance of passing than a vote of no confidence complying with the terms of the FTPA. Is there any constitutional difference (there may be a political difference) between a non-statutory vote of no confidence in May personally and a non-statutory vote of no confidence in the government? May’s government declined to give time for a debate on a non-statutory motion of no confidence in May personally tabled by the Leader of the Opposition. The government judged, probably correctly, that this was a political stunt. A government that has so lost control of the Order Paper that it cannot prevent a Bill passing the Commons of which it thoroughly disapproves, will not be able to prevent the debating of a non-statutory motion of no confidence in the government or in May personally intended to have constitutional effect. If such a motion passes, as it may very well do in the extreme circumstances we are considering, the Queen may be faced with a Prime Minister tendering advice to withhold royal assent and a loyal address from the Commons that the House lacks confidence in that Prime Minister but not in a form so as to trigger the provisions of the FTPA. I would expect the form of such a motion to be, after a preamble listing the government’s faults, ‘that this House has lost confidence in Her Majesty’s Government and therefore resolves that an humble Address be presented to Her Majesty, That she will be graciously pleased to dismiss her current ministers and to offer the office of Prime Minister to [the Rt Hon Another Person MP]’. That formulation helps to maintain the neutrality of the monarchy by removing any need for the monarch to exercise discretion on whom to appoint as PM. If that doesn’t work the Commons could try voting down the Supply and Appropriations Bill or even expelling the PM from the House for contempt of Parliament. But I would expect the Humble Address to be enough. Admittedly it wasn’t enough in 1784, when Pitt refused to resign after a similar Address was passed at the instigation of Fox, but the principle that the Prime Minister needs the confidence of the Commons, and not just of the King or the Lords, had not yet been established. Thank you for the comments. I agree that much of this confusion has been caused by the harmful effects of the FTPA but I couldn’t fit any swipes against that Act into an already long blog post. My full views on the FTPA are in an MLR article published last year where I call for its repeal and replacement with a simple statutory power in the hands of the PM but with vanilla confirmatory vote in the HC. Both the thoughtful blogpost and the comments so far appear to assume that the power to advise the Monarch resides exclusively in ministers currently holding office. I wonder whether this is right. It is not as ministers but as Privy Counsellors that the PM and her ministerial colleagues tender their advice. The reason why the advisory function is confined today to holders of ministerial office appears to lie not in law but in a practice or doctrine that it is only from her ministers that the Queen may receive advice. It is only on the death of the monarch that the full PC of 650-odd members is summoned to proclaim the heir to the throne. The convenience of the doctrine is obvious: it expedites the PC’s business and it avoids the absurdity of summoning the full PC to approve the closure of a graveyard. But its basis in law, if any, is obscure, and in relation to a great matter of state such as the conjectured advice to withhold the royal assent from a duly passed parliamentary measure, it may be untenable. It is also clear that today power to adjudicate on the regularity of Privy Council proceedings lies in the courts. In other words, if ministers do not possess exclusive power in the conjectured circumstances to advise the Queen, the courts have authority to say so. From such a ruling it would follow that the full PC has to be summoned to determine what advice, if any, is to be tendered on the grant or withholding of the Royal Assent. Whether the courts also have power to forbid the PC, whether in plenary session or through ministers, to advise the monarch to act unconstitutionally is a separate and equally interesting question. Reference may be made to P.O’Connor QC, The Constitutional Role of the Privy Council (2009), and to my book Lions Under the Throne (2015) pp. 132-4. Thank you for your fascinating comment on the role of the Privy Council Sir Stephen. I take the point that as a matter of technicality, advice on the exercise of the royal prerogative is given by the Privy Council but I wonder if that changes anything of substance. 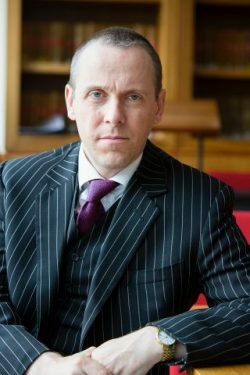 Nowhere in his piece does Patrick O’Connor QC suggest that the full PC needs to be summonsed in cases of controversy or that if there were to be such a summons that there would be some kind of vote or other interference by the Privy Counsellors in any formal ministerial advice to the Queen. On the contrary, O’Connor makes clear that the ‘Clerk to the Council decides who is to be summonsed to attend’ and that ‘normally those attending are government ministers’ and ‘no discussion ever takes place’ (p8). This may just be ‘practice or doctrine’ in your analysis, but as Griffiths (MLR 1979) makes clear, the constitution is ‘what happens’. It may be worth noting further that the Clerk is a civil servant who is part of the Privy Council Office. The head of that office is the Lord President of the Council who is currently Andrea Leadsom. In these circumstances, it seems that the decision as to who is summonsed would ultimately be the responsibility of Ms Leadsom and there are no suggestions that her discretion as to who attends is fettered. O’Connor also says that ‘when the sovereign really needs advice about the exercise of the personal prerogative powers, the PC is completely bypassed. The monarch’s Private Secretary “solicits advice from unpublicised and unknown sources” (Blackburn)’ (p21). Does this not suggest a) that the residual personal prerogative powers remain in some sense within the discretion of the monarch for which she requires advice and b) that, ultimately, formal advice on how to exercise such powers must be sought from ministers and unfailingly followed (which is take nothing away from the ‘unknown sources’ who advise the monarch personally)? I agree with this extract entirely, but I am not sure how it is to be reconciled with a view that the obscurity of the procedural aspects of the Privy Council’s work means that advice to the monarch to refuse royal assent is somehow ripe for potential post-Bancoult litigation. Still less is it obvious how such a claim could lead to the summonsing of the full Privy Council at the behest of the courts. You say that the “regularity” of Privy Council proceedings is now justiciable but is there not a significant distinction between a) an adjudication on the lawfulness in judicial review terms of a decision with legal effects made by ministers and b) judicial intervention as to the very basis on which advice is proffered to the monarch by the Privy Council? Lastly you speculate on whether the courts could ‘forbid’ the PC from acting ‘unconstitutionally’, but are there not jurisdictional issues from a common law perspective? How is common law affected? Whose common law rights are impugned? If the type of general summons of Privy Counsellors you suggest were to occur and the Privy Council were somehow to overrule the ministerial advice, who could MPs hold to account in Parliament for that decision? For the avoidance of doubt from others, I reiterate that the primary and heavy responsibility of all concerned is to ensure that this matter is resolved long before any involvement by the monarch is ever necessary. The difficulty with Sir Stephen’s approach, is that we do have the precedent of 1707/8. There is no suggestion that Queen Anne was advised by other than her Cabinet Council to refuse assent to the Scottish Militia Bill. One thing the present Queen might do is to test the collective responsibility of her Government by requiring her cabinet as a whole, rather than merely her Prime Minister, to tender the advice to refuse assent. I can’t see how Parlliament can be ‘sovereign’ when the power to legislate is derived from an Electorate whose bestowing power is intrinsic. And to say ‘The People are sovereign’ also is to state ‘The People are the Sovereign’-with the Monarch an hereditary and representative President oath bound to govern and not rule. And where a Parliament unruly on a a diceyean fancy of itself revolts against the Sovereign-and perforce the Monarch, then the majestical latter in Parliament-the primary recipient of the instruction of the 23 June 2016-can be petioned- as an peerless responsible person-to withold consent to a parliamanetary violation of the sovereignty of the People. Truely, Brexit keeps on giving. As the Cooper Bill would put the Crown prerogative on negotiations with foreign states / organisations into abeyance, this Bill surely impinges on the Crown prerogative. The Queen’s consent (separate from the royal assent) is required at third reading to debate and vote on issues that affect the prerogative and consent is given or withheld on the advice of ministers. Is it not the case that the government could stop the Bill in its tracks simply by advising HMQ to withhold consent? In which case it is within the government’s hands to prevent this Bill becoming law without getting into the murky waters of the Royal Assent. This doesn’t seem to be a big part of the discussion of the Bill though. Is there something else going on? Have I missed something? Very thoughtful blogpost and comments. I wonder if I might make a suggestion? If the Prime Minister were to advise the Queen to refuse Royal Assent to an Act of Parliament passed by Commons and Lords that advice would be susceptible to judicial review and could be quashed: R (Barclay) v Lord Chancellor (No 2) (SC(E))  AC 276. In my view that advice would be unlawful because it would be advising the monarch to act in breach of s 1 of the Bill of Rights Act 1688: “That the pretended Power of Suspending of Laws or the Execution of Laws by Regall Authority without Consent of Parlyament is illegall”. The Queen cannot lawfully refuse to pass an Act of Parliament that has the consent of Parliament just as she cannot dispense with an Act of Parliament (through the exercise of prerogative powers by government Ministers) without Parliament’s consent (as the SC made clear in Miller). The fact the Prime Minister is head of a government – even one that has recently won a vote of confidence under the FTPA – that had opposed the Bill during its passage through Parliament is neither here nor there; it is Parliament’s consent, not the government’s, that matters for the purposes of the Bill of Rights. In any event, the fact that the Act was passed despite the government’s opposition would demonstrate that on that issue the government lacked the confidence of Parliament (and, were it not for the FTPA, the government would by then have fallen). Nor could the Prime Minister invoke the referendum result to justify her advice: that result was, constitutionally, advisory only. We are a Parliamentary democracy. In any event there has been a general election since that referendum result. If a majority of elected representatives and lords in Parliament passes an Act for either a softer Brexit, a second referendum or the revocation of Article 50 then for the Queen to refuse to give her assent to that Act would be “to reverse the result of the Civil War”, to use Lord Templeman’s graphic phrase from M v Home Office  1 A.C. 377. Of course, if the courts then quashed the Prime Minister’s advice we would see more ‘enemies of the people’ type headlines. But the constitutional crisis would be averted. If the Prime Minister wanted to reverse the result I am sure she would find a majority to dissolve Parliament under the FTPA and call a general election. If she still led her party, campaigned on a manifesto commitment to reverse that Act of Parliament and won, that would be the constitutionally proper and lawful way to proceed. Thanks for your comment. I absolutely agree that this scenario is entirely a function of the FTPA and the overwhelming vote against the Prime Minister’s deal which would otherwise have almost certainly had very different consequences in terms of the confidence of the House of Commons. In fact, I think this new backbench bill is a clear *symptom* of the serious problems caused by the FTPA and that my post should be seen solely in that context. If the FTPA were repealed, I think this kind of scenario would recede back into the shadows again. I understand that a bill that passes both Houses must feel very much like an “Act of Parliament” such that a refusal of royal assent might look like an exercise of prerogative power contrary to Article 1 of the Bill of Rights. However, on a point of technicality, such a bill is not actually “Law” until it receives royal assent and is placed on the parliamentary Roll. In those circumstances the claim that the crown is in some way “dispensing” with or “suspending” the law must fall away in my view. I agree that, at least on a literal construction of the Bill of Rights, a measure is not a ‘Law’ unless it has passed through all the constitutional hoops and so the refusal of the monarch to give royal assent to an Act of Parliament would not be incompatible with the Bill of Rights. However I am not sure that the drafters of the Bill of Rights would have thought that the King could frustrate Parliament’s will by refusing to give assent to an Act that had been properly passed by Commons and Lords. If one gave a purposive construction to the Bill of Rights, would an Act so passed not then be a ‘Law’? If so then such a refusal would be unlawful. This is a very informative and timely article. As indicated by the author, it remains an open question whether the Queen is required by convention to act in accordance with ministerial advice to withhold assent to a bill. Both sides of this debate have sound arguments for their respective positions. Analysis of this question is also complicated by the fact that constitutional conventions can evolve in response to new circumstances. In this regard, it could be argued that the government’s loss of control over Parliament’s legislative agenda is a new circumstance warranting a new or modified convention. I don’t have enough knowledge to form an informed opinion on this complex question, but I would like to make a few brief observations. One of the arguments identified in the article is that the Queen could disregard the government’s advice because “the government is no longer responsible, due to its defeat on what must be regarded as an important legislative measure… and the head of state is not obliged to accept the advice of ministers who have ceased to be responsible”. However, there is a counter-argument that “responsible” in this context means “accountable” (to Parliament). According to this view, a government defeated on an important legislative measure does not automatically cease to be “responsible”. It remains accountable to Parliament. As demonstrated by recent events, it would be a mistake to assume that a government’s defeat on an important vote in the House of Commons necessarily means that it has lost the confidence of Parliament. Another argument identified in the article is that the relevant convention should operate in favour of democratic values, rather than against them. Accordingly, so the argument goes, “when presented with a bill that has passed through Parliament in a proper manner, the duty of the Monarch is to give assent – irrespective of the advice of her Ministers”. However, it could be argued that it would be more democratic to allow the democratically elected members of Parliament to decide what action, if any, should be taken in the event of the Queen acting in accordance with ministerial advice to withhold assent to a bill. For example, the government could be removed by a vote of no confidence, following which different ministerial advice could be provided to the Queen to facilitate assent. The final observation I want to make is a question. What would happen if the government decided to avoid controversy for the Queen by declining to submit a bill for assent? The possibility of not submitting for Assent has been mooted in some quarters. Twomey even talks about the ability to delay presenting a bill. Many things are possible but all these options are far worse than the politicians sorting it out themselves. The question of whether the Courts would consider justiciable the advice of the PM to the monarch not to give assent to an act that has been passed by the Commons and Lords has never been tested. I am not sure one can discount it, not least as the monarch has only ever refused assent once, in 1708. Whether it would breach the Bill of Rights or not (see above), it would arguably also be in breach of Article 3 of Protocol 1 of the ECHR. In Barclay (No. 1) Lord Collins was prepared to accept that: “If a second chamber had a power permanently to frustrate the will of the democratically elected chamber, and the power was not purely theoretical, like Her Majesty’s power to withhold Royal Assent, then there would at the least be a case for breach of article 3.” It would follow that if HM’s power to withhold assent was not “purely hypothetical” then it, too, would risk being in breach of A3P1 if used to frustrate the will of the democratically elected chamber. So any advice from the PM that the Queen act so as to breach A3P1 would also be unlawful. My own view is that royal assent will non justiciable as ‘high policy’ under the Everett test. Indeed, this would look like a paradigm example of that test being met. This would be a matter of the highest political consequence which would be within the discretion of the Prime Minister and Cabinet. It could have long term political and financial consequences for the country which the judges would institutionally ill-placed to assess. I am also struggling to see how the right to vote is affected by a decision to advise the monarch on whether to grant royal assent to a bill that passes both Houses. Finally, I am struggling to see what remedy could be granted. The legal power in question is the personal prerogative of the monarch. The chances of a mandamus / mandating order being granted ordering the Queen to grant assent seem fairly remote. Various sources from Caroll’s textbook on Constitutional and Administrative Law to Wikipedia refer to George V taking legal advice on refusing royal asset in 1913 or 14. His correspondence with Asquith doesn’t refer to him doing so (see McLean: The constitutional position of the sovereign’: Letters between king George V and prime minister H. H. Asquith, autumn 1913) and I don’t think either Nicolson or Rose refer to it in their biographies. Has anyone ever seen this advice or knows who gave it? I’d like to add a brief comment about Paul Bowen’s above suggestion that it would arguably be in breach of Article 3 of Protocol 1 of the European Convention on Human Rights for a minister to advise the Queen to withhold assent to a bill that has passed both houses. Paul contends that any such ministerial advice would be unlawful as it would involve a breach of Article 3 of Protocol 1 of the Convention. For the reasons explained below, I don’t share that view. The Human Rights Act 1998 (UK) incorporates the requirements of the European Convention on Human Rights into UK law, but only to a limited extent. However, the application of the above provision is limited by subsection 6(3), which specifies that the term “public authority” in this section “does not include either House of Parliament or a person exercising functions in connection with proceedings in Parliament”. This limitation is obviously aimed at preserving parliamentary sovereignty. I wish to challenge this assertion, ‘This reflects an important and basic constitutional principle which is that parliament must have its say but the government must get its way. It is the government that runs the country, not parliament. We have a system of parliamentary government, not a system of parliamentary rule’. This is not correct. Parliament is sovereign and supreme. ‘Parliament must control its own policies’ (Lord Lisvane). control of the Executive by the House of Commons. Dame Margaret’s words were that, in the end, the Government “must get its business”. Why must it? Lord Judge: With great respect, I think that really should be examined. business; I think that it must get its business considered. Dr Huq: That is very encouraging for tonight. Sir Malcolm Jack: I completely agree with Lord Judge. There is no such things as a “convention”. It is legal theology. What lawyers call a “convention” is not part of the rules of the Game. Rather, it is a Nash equilibrium which persists under the conditions of play. If those conditions persist for a very long time, then those who do not understand the underlying Constitution or the Game Theory of how that Constitution translates into strategy may come to regard the equilibrium as a de facto rule. But it’s not enforceable against those who are determined to adopt a different strategy. And therefore it is not a “rule”. Thus it is a “convention” under the Westminster system that Ministers are drawn from the members of Parliament. This is a Nash equilibrium because (under elective government) members of Parliament are “adversely selected” by the highly competitive electoral process to be those individuals who place the highest value on the exercise of power over others. They’re not likely to adopt a strategy which awards the coveted exercise of Executive Power to other people. Of course there might new conditions in which they change strategy. There might arise, for example, an exercise of Executive Power so onerous that no politician wants to be seen to be associated with it. Under such conditions we might imagine that the Nash equilibrium would change. This is the issue with Brexit. The conditions of play which have arisen due to the “guillotine” of Article 50 are so unusual the Nash equilibrium which has prevailed hitherto may have ceased to be an equilibrium. Ultimately this is a political issue not a constitutional one. Like so much in Brexit, it will be a question of who blinks first. It’s what’s known in Game Theory as “The Chicken Game”. And one of the possible outcomes of the Chicken Game is “Lose-Lose”. This in turn raises the issue of what is meant by “losing”. If the Brexiteers do not regard a Clean Brexit (i.e. No Deal) as being a loss, then the outcome of the Game is a foregone conclusion. Whether Theresa May holds that view is something only she knows. Upon further reflection, it occurred to me that the fashion for supposedly “independent” central banks which arose in the 1990s is a good example of the phenomenon described above. Control of monetary policy is one of the most powerful weapons in the armory of executive government, a much-coveted discretion. However, the inflation of the 1970s and 1980s – and the pain of trying to eliminate it with high interest rates and recessions – caused politicians around the world to conclude that this particular exercise of executive power was not one they wanted to be associated with! The economic theologians duly stepped up with a new doctrine of independent central banking which allowed the onerous task to be shoved off to someone else. Given enough time the constitutional theologians would no doubt devise their own doctrine on the “convention” of separating monetary policy from other executive functions. Subsequent events such as the infamous “Greenspan Put” and the Global Financial Crisis might lead some to conclude that committees of economists are no better than committees of politicians when it come to achieving the impossible: satisfying everyone in the economy simultaneously. With the decline in the pain of inflation there have been recent murmurings (from Donald Trump for example) that monetary policy is something that should perhaps be brought back under the more direct control of the Executive. And so the Nash Equilibrium continues to evolve. This entry was posted on January 22, 2019 by Constitutional Law Group in Europe, European Union, UK government, UK Parliament and tagged Brexit, European Union (Withdrawal) Act 2018, House of Commons, House of Commons Standing Orders, Royal Assent.